Founded in 1997, Canadian Motorcycle Training Services, and now SMART Programs, have been dedicated to providing and promoting safe riding to children and adults from age 6 and up, and having fun while preserving our environment. Clinton Smout, owner, and his staff wish to celebrate and honour the life of Jacob Jeavons by setting up an annual scholarship in his name. The mission of the scholarship is to offer children ages 6–16 the opportunity to receive professional off road instruction, raising awareness of safety and fun, in a controlled environment. The scholarship will be given to the individual who demonstrates care and concern for his/her community and understands the importance of safety. 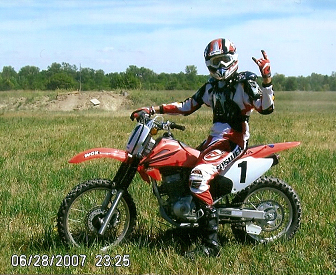 Jacob Jeavons passed away on September 17th, 2008 as a result of severe head injuries from a tragic dirtbike accident. He was only 16 years old. 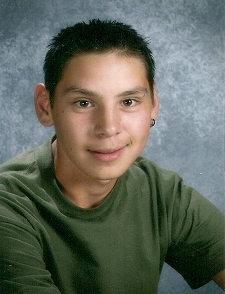 Jacob was struck by a car while riding his dirtbike across the road from a field into a friend's laneway. Although he was wearing a helmet, it flew off at the point of impact because it was not done up properly. No one knows why Jacob did not buckle up his helmet—perhaps he figured that he was not going that far or that fast. The family graciously shared their story with us in the hopes that other young riders will learn that just putting on a helmet is not enough, but to ensure it is on properly and buckled up no matter how far you are going, or how fast. The successful recipient of the Jacob Jeavons Scholarship will receive a half day of professional instruction that will include the use of all off-road gear needed to ride safely, the use of a minibike, youth ATV, or motorcycle, lessons and guided trail rides at no charge. The value of this scholarship is $150.00–$185.00. Open to all individuals ages 6–16 regardless of previous off-road experience. Entries can be sent throughout the motorcycle and ATV season, and one entry will be selected each year. Only electronic entries are accepted. NO MAILINGS of entries will be accepted. The winner will be selected based on originality, creativity and effectiveness at conveying their experience. Each submission must reflect the entrant's own personal experience and must be original.